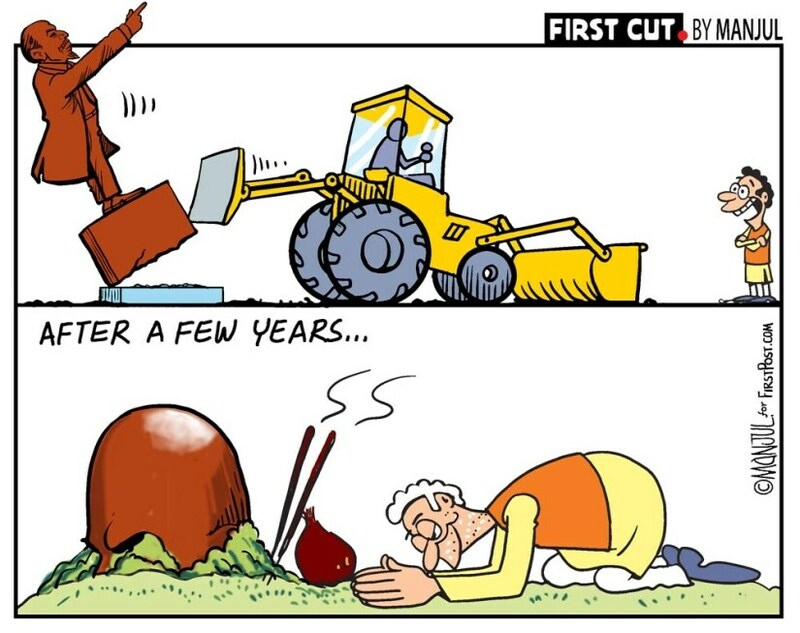 In a democracy where rule of law governs conduct, the wanton destruction of a statue is problematic. It signifies vandalism and hooliganism. To that extent, the razing of Vladimir Ilyich Ulyanov’s statue in south Tripura must be condemned. Yet, some political symbolisms are simply too powerful. 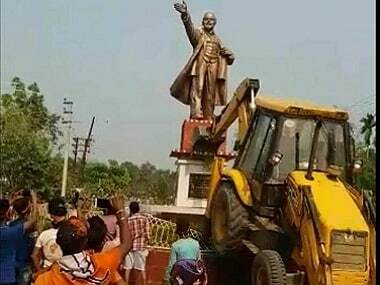 Lenin statue being razed in Tripura. The bulldozing of Lenin’s statue transcends goonish behaviour and becomes an expression of popular anger. To restrict the act within the paradigm of vandalism and feign outrage — as some commentators and TV debates have done — is to ignore the weight of far and near history and also to pretend that there was a level-playing field between those who erected the statue and those who pulled it down. There was not. And in absence of that power equivalence, moral evaluations miss the point. In South Tripura’s Belonia, a statue of Lenin razed amid chants of ‘Bharat Mata Ki Jai’. 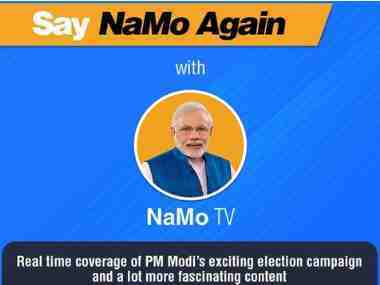 This, less than 48 hours after the BJP stormed to power ending a 25-year-long Left rule. In context of Tripura, where power change was the final act in a theatre of violent political upheaval, the demolition becomes almost an act of catharsis. Here, the fall of Lenin doesn’t just signify the mere pulling down of a statue but the symbolical end of a communist regime that used violence as a tool to wield power and meet political challenges, as communist regimes in the country and around the world have done over the years. When these authoritative regimes fell, their signifiers were subjected to popular backlash. 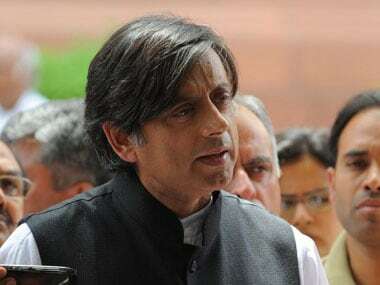 It could be argued that India is a democracy where leaders are elected by people, not selected at party congress and therefore voting out and not unlawful behaviour is the best expression of anger. 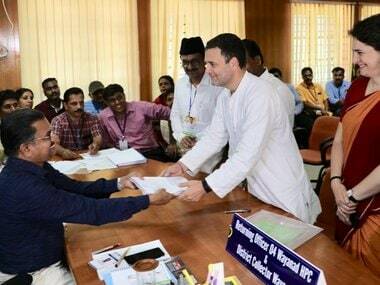 Yet the argument doesn’t take into account the fact that though communist regimes in India gain power through democratic means, they subsequently undermine democracy by institutionalising violence and modifying voter behaviour. They do so by using violence as a mechanism to intimidate and control the masses and creating simultaneously an army of indoctrinated elites who provide intellectual heft to their acts of totalitarianism. This is done in a systematic way by controlling the avenues of soft power and moulding the education system. Early indocrination is the simplest way to prevent independent and critical thinking which the communist regimes perceive as a threat. This model was perfected in Bengal, and replicated elsewhere. In its three decades of power in Bengal, the Left Front elevated brainwashing to an art form. Left leaders took English off syllabus till Class 6 while their own wards were admitted in English-medium schools. This created an artificial divide. This divide was then reinforced through a devious education policy. While this took care of the support base, the party unleashed, as scholar Anirban Ganguly wrote, “One of the bloodiest episodes in democratic India’s history.” In his piece for Swarajyamag, the author recollected five such events that symbolise the cult of violence in Bengal: Sainbari killings in 1970, Marichjhanpi massacre in 1979, burning of Ananda Margi monks (1982), Nanoor killings in 2000 and Nandigram firing in 2007. In Sainbari, a widely documented atrocity involved forcing a mother to eat rice soaked in the blood of her murdered sons. She lost her mental balance. These acts of violence are hidden from our official histories because communists are very good at sanitising the past. The most violently murderous communist regimes around the world who have killed millions and millions, have done this so effectively that leaders of this death cult still remain celebrated figures in the world, venerated as much in popular culture as in the hallowed circles of academia. Adolf Hitler left a trail of bodies so others could easily identify him as the villain, however, Mao Zedong erased large chunks of China’s past to forever alter its DNA and make China, in Louisa Lim’s words, the People’s Republic of Amnesia. Mao’s “permanent revolution” took “tens of millions of lives”, writes Orville Schell in Foreign Affairs. Yet there are no records, official or unofficial, that chronicle the murder of millions and millions and millions more that were sent to labour camps. “The Central Propaganda Department — which, along with myriad other state organs, is tasked with censoring the media and making sure that all educational materials toe the party’s line — has sealed off entire areas of China’s past,” wrote the author in China’s Cover Up (When Communists Rewrite History). It is this violent ideology that Vladimir Lenin believed in, his statue represented, and the communist regime in Tripura propagated. The pious outrage that has taken grip since the razing of the statue is completely innocent of communist history and role that Lenin, communism’s poster boy, played in it. As always, entire swathes of popular history have been sanitised to such an extent that a “maniacal mass murderer”, as Robert Gellatley writes in his book Killers With Ideologies (Lenin, Stalin and Hitler), has been presented to us as a “decent man”. Richard Pipes's Unknown Lenin (1996) and Robert Service's Lenin (2000) chronicle the “real, brutal Lenin”, as Simon Sebag Montefiore writes in Washington Post. Part of the problem surrounding the mass murders carried out by Nazi Germany and those committed by communist regimes is that popular discourse considers racial hatred more dangerous than class hatred, as though that would be some consolation for the murdered and their relatives. While Nazi crimes gave way to penitence, penance and expiation of guilt, communist violence is justified as a backlash of the oppressed against the powerful. The communist discourse taps into the human need for virtue-signalling to feel better about themselves. The razing of Lenin’s statue is significant in other ways as well. Every ideological shift needs a signifier. In Satyajit Ray’s celebrated children’s movie Hirak Rajar Deshe (In the Land of the Diamond King) — that can just as well be interpreted as a political satire — commoners bring a symbolical end to the brutal regime of tyrant king by pulling down his statue. Every Bengali knows the lines by heart: Dori dhore maro taan/Raja hobe khan khan (pull the ropes and raze the king’s statue). Bengali-speaking Tripura would know the import of these lines too.